Discover the different work areas that can accommodate up to 90 participants. At the Meeting Lab, you are free to occupy the premises as you wish, or privatise the whole building. 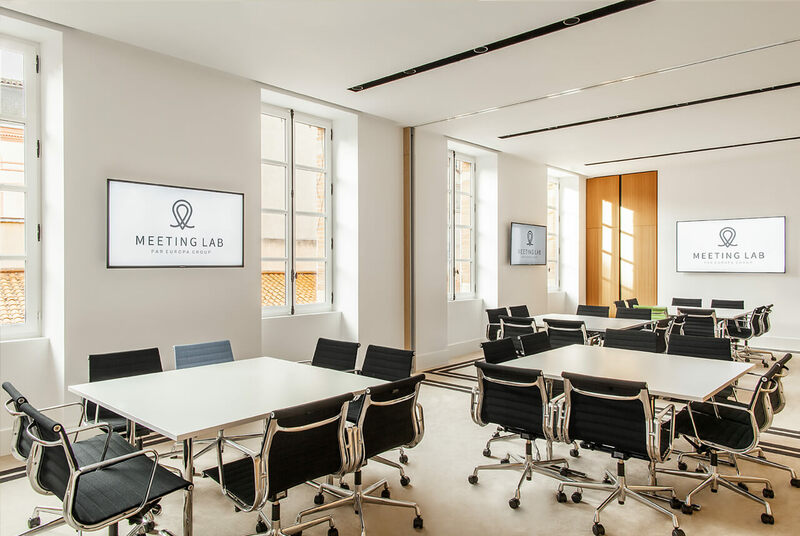 Executive committee, press conference, seminar… for a few hours or a few days, the Meeting Lab can be set up to suit all of your activities. The Meeting Lab offers three meeting rooms which all enjoy natural daylight and can be set up according to your needs. 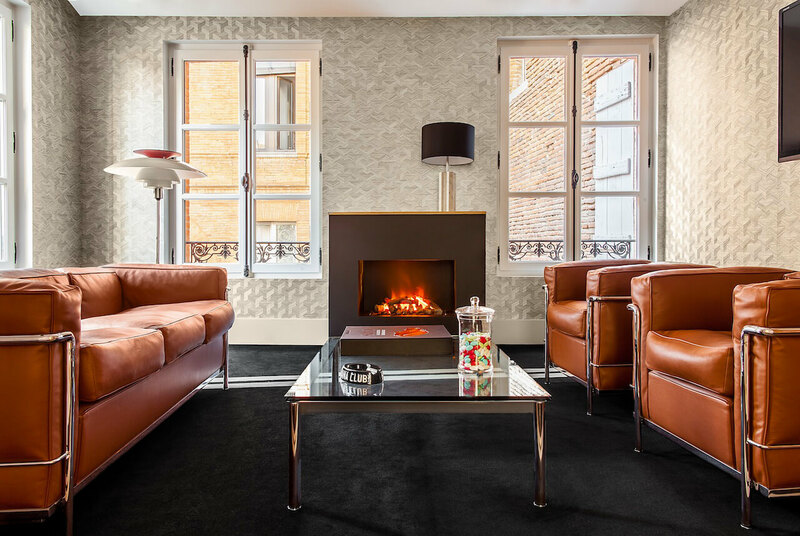 The Small lounge is an exceptional room that combines the seclusion of a private drawing room with the Meeting Lab’s full range of tailor-made services. 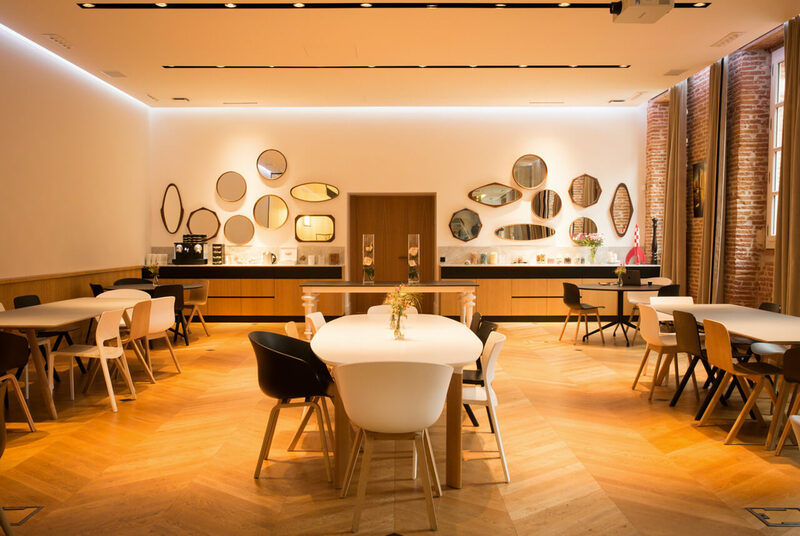 At the heart of the Meeting Lab you’ll find the Dining Room, which can be set up in a multitude of ways. 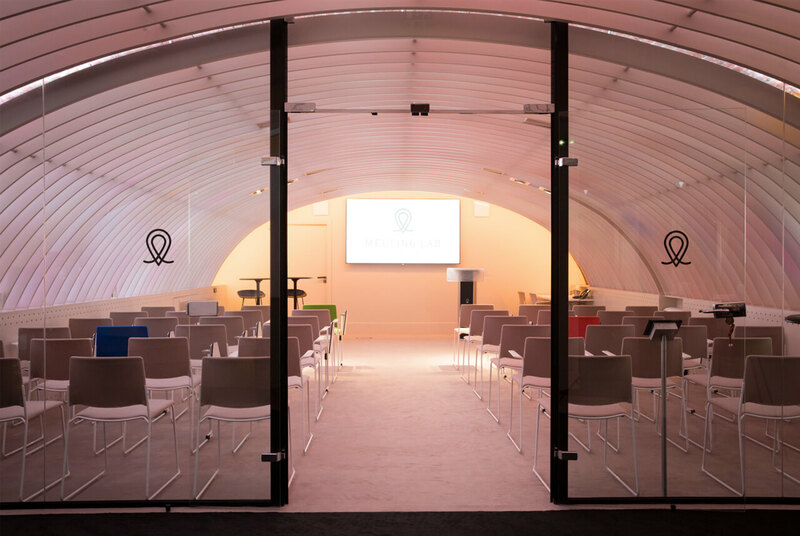 The Meeting Lab’s auditorium is ideal for a conference, product launch or corporate presentation.